UPDATED: Fri., Feb. 8, 2019, 9:52 a.m.
OLYMPIA – Spokane could see a significant drop in crime if it could get a few “prolific” criminals off the streets and then have the state keep a closer watch on them after they get out of jail or prison, local officials told a Senate committee Thursday. 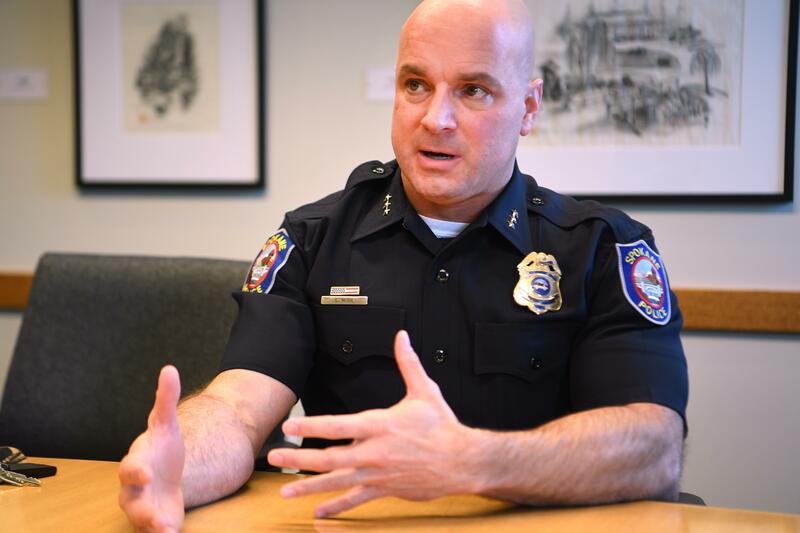 Spokane Mayor David Condon, City Councilman Breean Beggs and Police Chief Craig Meidl lent strong support to a new version of a plan to place people who commit multiple property crimes in community supervision in exchange for shorter sentences. “What we’re doing now is clearly not working,” Meidl told the Senate Law and Justice Committee. The panel was considering a proposal by Sen. Andy Billig, D-Spokane, to set up a program in which a person serving time for vehicle theft or burglary could get one day off a jail or prison term for every three days they are willing to be in a community supervision program. Because the cost of incarceration is roughly three times the cost of community supervision, the state wouldn’t see an extra cost, Billig said. Along with supervision, they would get help with housing, job training and health care. “A small number of repeat offenders are committing a large number of the crimes,” he said. In Spokane, that’s definitely been the case, said Meidl, who passed out an information sheet that showed one of Spokane’s “top” offenders has been arrested 222 times, with 14 felony, seven gross misdemeanor and two misdemeanor convictions. Another has been arrested 172 times, and a third 111 times. Condon said his house was broken into while he was away in March by a “multi-time criminal.” Meidle said he’s been burglarized. There’s an added danger in recent months as police are seeing more burglars and property criminals with firearms when they are arrested, something that was once mostly common in drug crimes, Meidl said. The state reduced the number of released criminals who are under community supervision in 2003 and again in 2009 because of budget cuts. It’s now used primarily for those convicted of violent crimes. The Legislature has considered extending that to criminals with multiple property crime convictions at least twice in recent years. Last year, the Senate approved a pilot program that would have tested a supervision program in Spokane County for property criminals after they were released from jail or prison, but there were concerns about unequal treatment for inmates from other counties who wouldn’t be eligible for it. When that proposal was later expanded to a statewide program, it failed because of the increased cost. The state Association of Criminal Defense Attorneys still questions the formula of three days of supervision in exchange for one day of incarceration. But Meidl said he hopes this latest plan can answer legislators’ concerns about both cost and equal treatment. Published: Feb. 8, 2019, 5 a.m. Updated: Feb. 8, 2019, 9:52 a.m.